Monday July 30, 2012 3PM. The presence of the Holy Spirit fills my room and issues a warning. “In the next hundred days the devil will unleash the greatest attack on morals in American history.” Before this is over many will be seduced into thinking it is hateful just to be a Christian. Propaganda will flood us. Truth will become a lie, and a lie will become the truth, heroes will become villains and villains will become heroes. I was warned to expect some heinous act to occur that will be blamed on believers and give sympathy in the election to retain power. It will be like Nero who was suspected of setting fire to Rome and then blamed the Christians so he could wipe them out. One half of the squeeze is the persecution. When this national persecution begins, you will not have the power or wisdom to react to it. You are in danger of being losing your convictions at the very time that you need them the most. The other half of the squeeze is the milky teaching you are getting in church. There are two subtle errors rampant in the pulpit. They are taught to make Christ more attractive to modern minds. 1. God is crazy about me so I do not need to change. 2. If God wanted to do something He would just do it so I do not need to pray. Without repentance and prayer the Christian soldier is an easy target. This is why it is the highest priority of the Holy Spirit to conform you to the image of Christ. To get you out of danger. The crowd received the word. Souls were saved en masse. Then miracles broke out everywhere. The lady you see in the picture is being healed so dramatically, that death itself has been rebuked and her body resurrected from disease. But it did not stop there. This was the first time in this entire awakening that the meeting was suspended by the Spirit of God raging through a soul. She began to roar to God and would not stop for several minutes. Soon it spread to all of us and we were swept up into fire that made the entire room like the day of Pentecost. More on this soon! July 29th:The River was destroying all disease in its path. 6:45 PM Sunday July 29th: We are trying to find every available inch to accommodate the crowd. The singing starts early and the people are calling on God with deep passion. The message is direct and the people take it to heart. The front is now filled with souls wanting to give their lives to Jesus. The harvest is in the barn and meantime the miracles breakout in the hallway. So much has been said of the purpose driven life. Tonight it is the purpose driven Jesus. 1John 3:8 says, For this purpose was the son of God revealed that He might destroy the works of the devil.” Up and down the rows, Jesus is moving destroying the despair, addiction and diseases of Satan. You can almost hear chains breaking! Now we have to sing just to get relief from the glory of what our eyes see. Worship comes freely. Tears of joy are everywhere. Prayers of a lifetime are being answered right now. We are lost in gratitude to God. 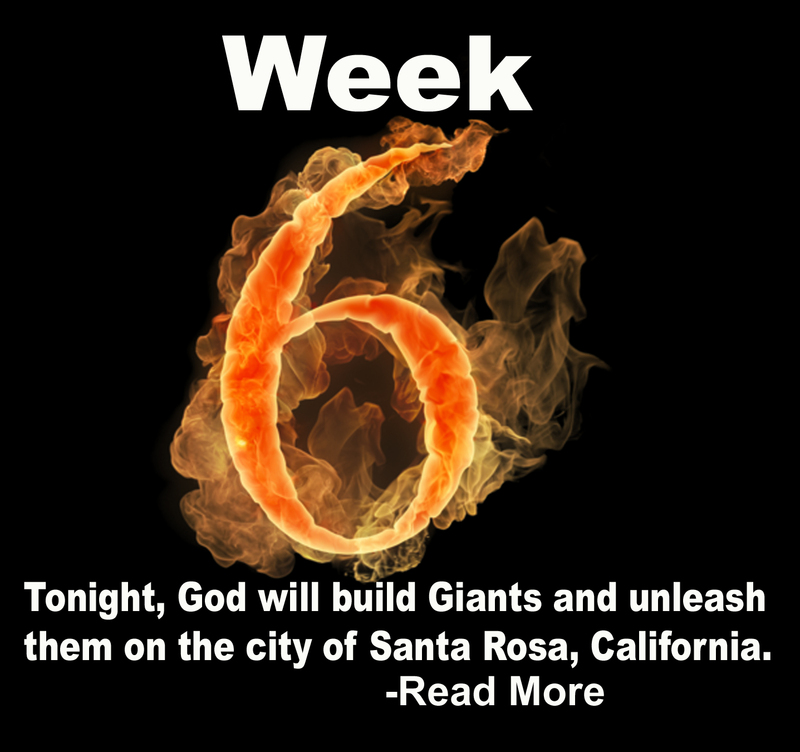 Tonight my goal is clear: Build giants of faith and power in Santa Rosa and then unleash them on the city. Here are the guts of what I will preach tonight. -When Pharaoh raged Moses appeared. -When Goliath roared David came forth. -When the world seemed hopelessly locked in the grip of Nebuchadnezzar, Daniel leveled him with prophetic authority. -Ruth and Boaz, the greatest love story of the Old Testament came in the moral swamp of the time of the Judges. -Isaac obtained a hundredfold harvest in the midst of a grinding drought. -When the New Testament Church seemed doomed, their chief persecutor, Saul of Tarsus became Paul the Apostle. God wants you to sit down now and forge a battle plan of excellence in a time that mocks excellence. Take these two simple steps: 1. Own an inner victory. 2. Make big plans. Now read the following verses carefully because they form the backbone of my blog. Claim this verse as the basis of your future. Grumpy theologians will tell you that this promise belongs only to Israel. You can dispel that notion by asking one simple question: Is the Glory of God on the Church of Jesus? But this prophecy dispels an even more dangerous lie; the lie that we cannot do amazing things now. In gross darkness the glory will rise. No end time event should take your mind off of rising glory. Now look at Proverbs 3:5-6, “Trust in the LORD with all your heart, and lean not on your own understanding; in all your ways acknowledge Him, And He shall direct your paths.” These words give us the 3 steps we must take. The military has a word for inner victory: Morale. It is an unshakable confidence that they have the best general, the best weapons, the best strategy and the best training. Christian morale is the highest morale possible. It comes from Heaven. Our General is Jesus Christ. Our weapons are mighty through God. Holy Spirit coaching is the best training in the universe! The plan of God cannot be defeated! The best news of the universe is that the one who loves you the most is also the one who has the most power. Step two: Make no small plans but big ones based on the voice of God. (In all your ways acknowledge Him) As you survey the landscape around you it is hard to imagine abundance and breakthrough in a time of such anger and shortages. It is very tempting to make small plans and devise doable goals that are shrouded in fear. Such plans do not acknowledge God. Even in the natural men see that big plans make all of the difference. Daniel Burham died over a hundred years ago and yet Chicago is still following his design for laying out the city. He said “Make no little plans. They have no magic to stir men’s blood and probably themselves will not be realized. Make big plans; aim high in hope and work, remembering that a noble, logical diagram once recorded will never die, but long after we are gone will be a living thing, asserting itself with ever-growing insistency. Remember that our sons and grandsons are going to do things that would stagger us. Let your watchword be order and your beacon beauty. Think big. Do not be deceived into a small life! The threat of failure is overblown. When you look back on your life, you will not regret the things you did as much as the things you did not do. Many, many times we cannot report even some of the most dramatic healings that we see in Santa Rosa. In the abundance of miracles we simply cannot keep up with all of them. Here is one that you must know about. When she was called out she was dying…each word was like a bullet when God began to heal her. Here was a body that needed everything replaced! Her best friend stood with her stunned by the accuracy of every word. What she needed was a new liver, kidneys, heart, lungs, and knees. She could barely breathe or stand let alone walk! Then all heaven broke loose. She could feel supernatural life in all of her vital organs. She could breathe and felt no pain. You have to understand how destroyed her back and leg were to appreciate what happened next. You could not see it but you could feel it…it was as if lightning struck her limbs and then she took off! It was like reliving the healing of the man at the gate beautiful! She jumped, she ran, she charged around the building on her new legs and she did not tire because now she had new lungs. Amazement followed her around the room! She finally was able to tell her story and it was in fact like something out of the Bible. Oh how she had suffered! She had no idea that God would heal her on this night. It was greater than words could tell. Now praise, real praise enveloped the entire audience. So deep was the worship that it unleashed a river of even more healings. 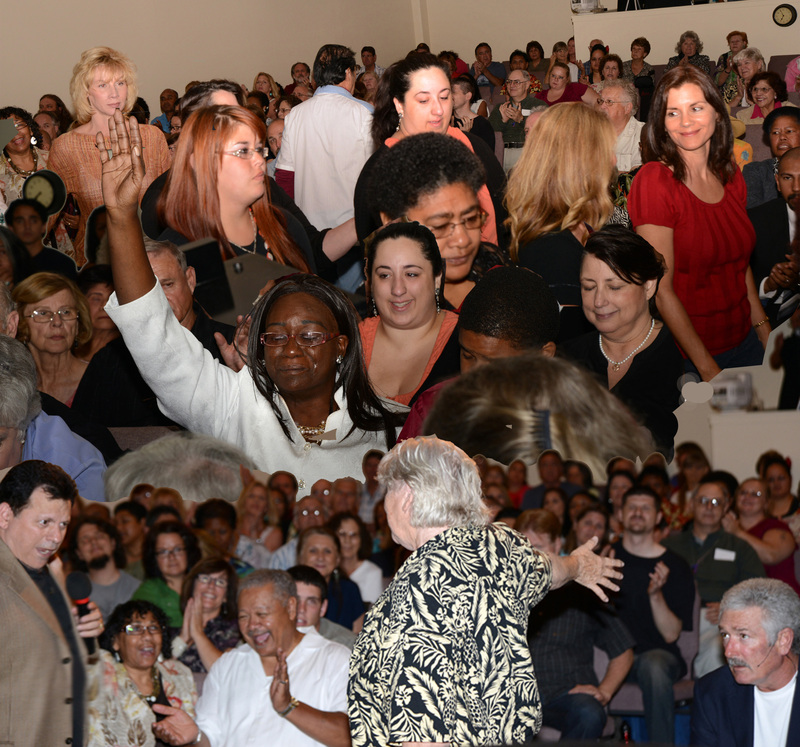 People were staggering under the power of God that permeated the room. Indeed, heaven has invaded Santa Rosa! 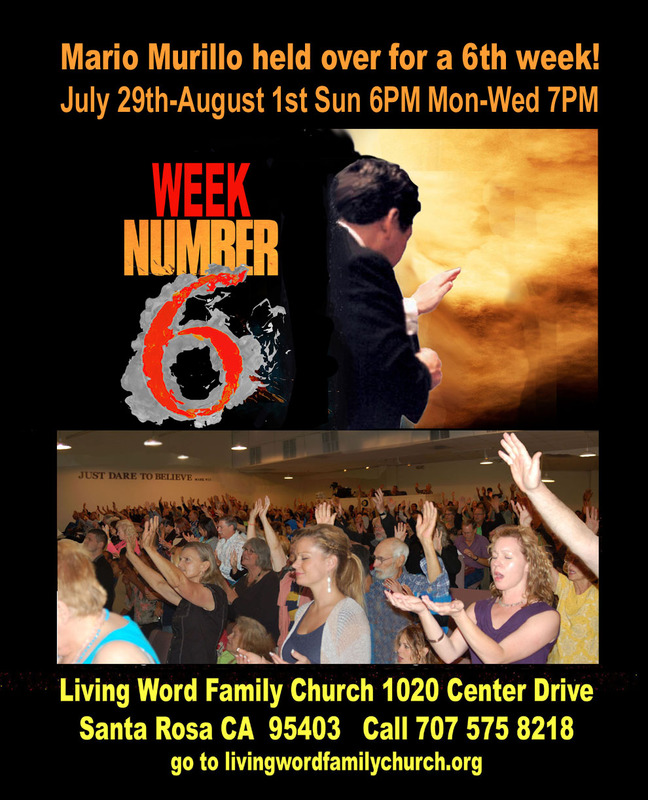 It is amazing to think that we are going to embark on an unprecedented 6th week this Sunday. God is not waiting for liberals to find out America needs revival. He is not anticipating revival prayers from atheists, secular humanists or any think tank. Our creator scans the nation looking for only one group to cry out for awakening. “If my people,” is not a catch phrase it is the key. God’s core have a much greater role in the affairs of state than anyone can imagine. A vivid example of this is when the people of the boat screamed at Jonah when they found out that he had disobeyed God and caused the storm. “Why have you done this to us?” they shouted in anger and the question is even more valid today than it was then. God, and society is waiting for the American church to decide that enough is enough. Again and again I am being asked why the Santa Rosa meeting is so different from any of the other meetings going on right now. They difference is that they get it and they know that it is now or never for America. 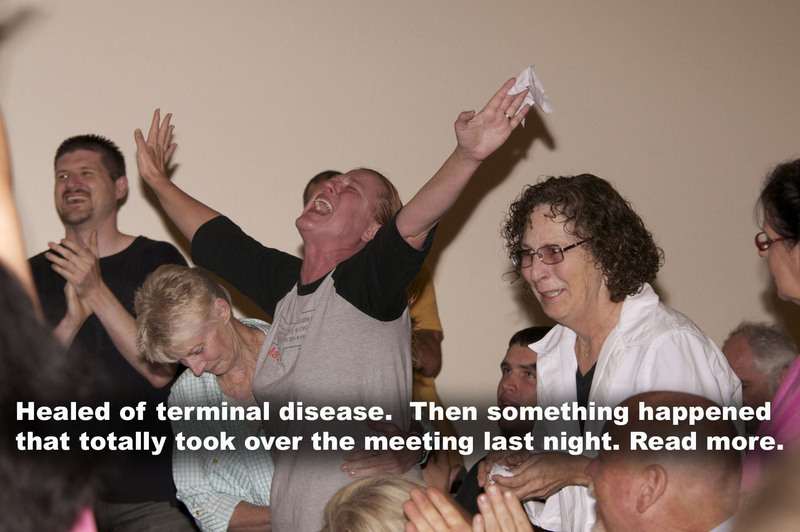 I was in another meeting that many thought was revival. We had crowds, we had miracles but we did not have a sincere desire for change in the majority of the people. Often during that meeting I would tell the audience that it was not yet revival and many were upset and bewildered by my remarks. It is now clear that they only wanted a better version of what they already had. In Santa Rosa, they are passionate about change. They want a permanent change of heart, behavior, and church life. Revival can be a fad. When it becomes a fad, it can be worse than never having had revival. Most homes have a box in the attic or garage with beanie babies, pet rocks, Pokémon cards, photos in old outfits, and other remnants of past passion. Sorting through the box often brings embarrassment, and a wondering about how we ever were so excited about that stuff. It is tragic when revival gets put in that box. The Santa Rosa Fire has come into my life at a time when I have outgrown the need of celebrity, recognition, or even legacy. It is all about souls, souls, and more souls. The only other fire that burns in this evangelist’s heart is for God to save my country from herself. It baffles me when a pastor is more afraid of displeasing a board than failing God. It grieves me how easily the weeds of tradition can grow back once the fires of revival have cooled. I am befuddled by the side shows that excite so many Christians. Somebody needs to help me understand why we cannot just get desperate? What more evil do we need? How much worse does it need to get before we collapse before God and do away with human marketing and compromise? 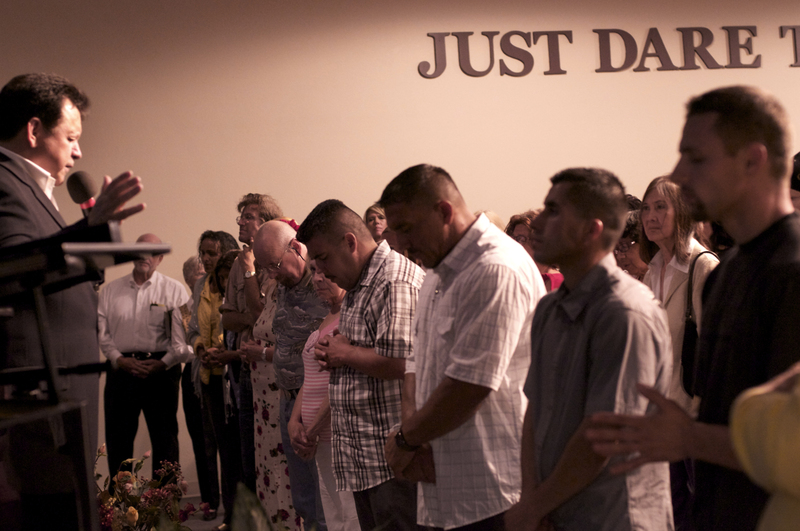 My mission in Santa Rosa is clear: I would rather fail in a total attempt to see God’s glory on a dying nation than to succeed in a ministry that has all of the outward features of achievement that is really only self delusion. Bob Johnson does not say much but his faithfulness speaks very loud. He serves us at the Dream House and has been seen in many different outreaches in Northern California. He and his wife had been praying for a miracle in their son Mike to have a true conversion to Christ. God answered their prayer in an amazing way. I first saw Mike Johnson after he violently turned to Christ. He gave all of the problems of his life to the Lord, and it has been full speed ahead ever since. He began using his gift on our worship team. All of us have loved the powerful way he plays drums in the spirit. Mike also serves at his church with Pastor Steve Rutledge at the Winters Foursquare Church. Mike, his parents and family started driving two hours each way to Santa Rosa just so Mike could continue to play and be a part of the Santa Rosa Fire. It has always thrilled me how God gave Mike such a deep love for the Lord and all of us on the team have adopted him as family. Mike began to feel weak and his arms began to cramp. He even began to drop the drum sticks occasionally when he played. So he went to the doctor. Then came the terrible news, Mike had leukemia. News that did not just make me sad, it made me furious. Satan hated Mike’s new life, the devil had lost a soul that he thought he would always have. This ate away at my spirit. I thought about what a cheap shot this was by the enemy. My pain turned into prayer and then became fire. 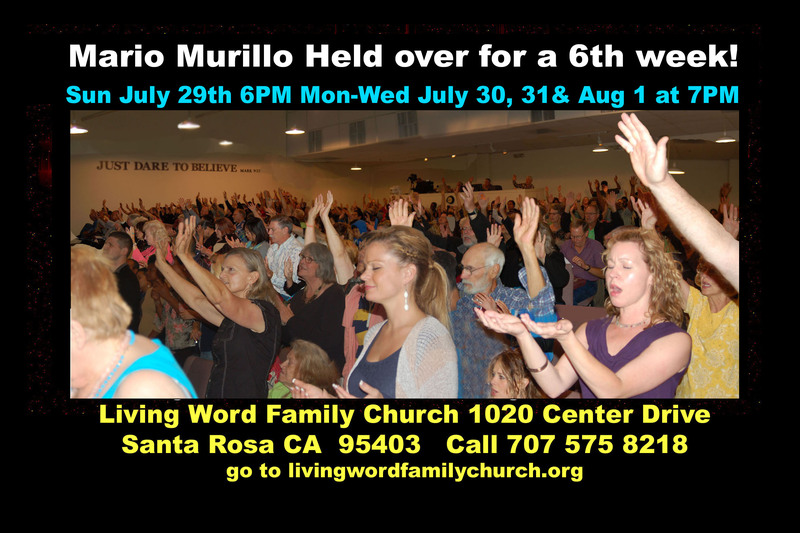 Monday night July 23 I preached at the Santa Rosa Fire about our sons. I talked about the contract of death that Satan has put on young men in America. Suddenly I stopped preaching and yanked Mike from the audience. 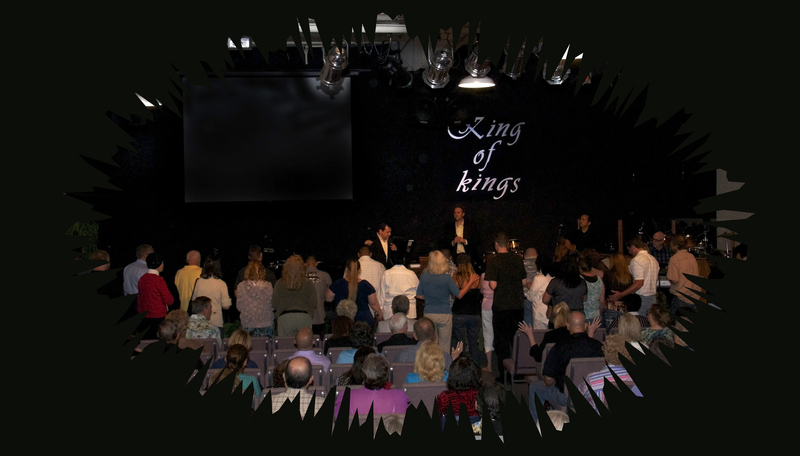 The entire congregation as one voice declared a miracle over his body! 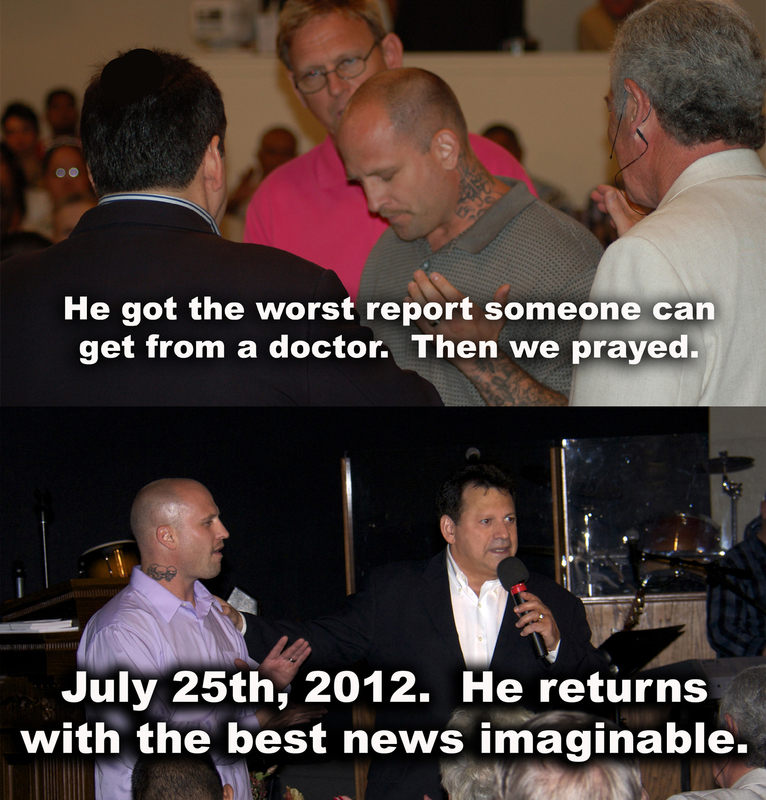 Two days later, Wednesday July 25, 2012 he returned with a doctor’s report. The new tests showed that leukemia had vanished and that he is totally healed! What a mighty God we serve! News Flash! Santa Rosa Fire will go on a 6th week! Now the people are sitting in the lobby and overflow rooms. Their faces glow with joy and appreciation for the outpouring of the Spirit in Santa Rosa. They stand and blast the Fire Song.The worship team leads them into greater glory. The church is now a forest of raised hands swaying in the wind of the Holy Spirit. We are lost in unconfined worship to Jesus. We cannot escape the conviction that this will be an unforgettable night. 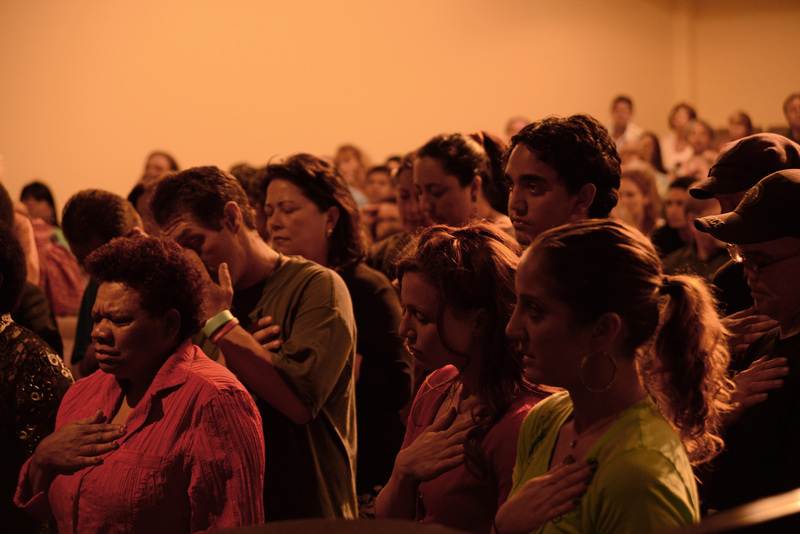 Even the unchurched who have never seen anything like this, feel the presence of God. 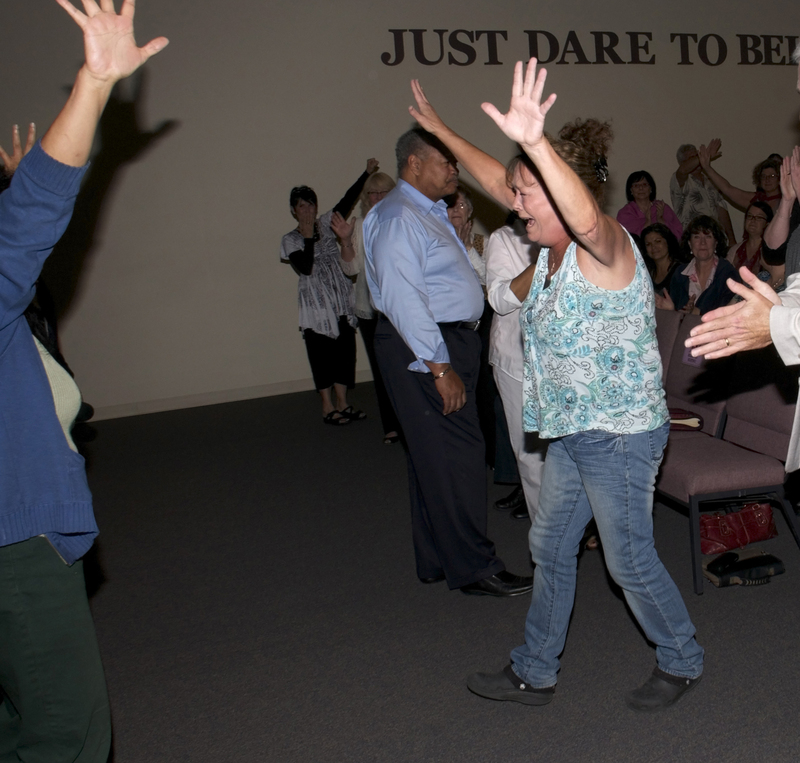 Worship that is sincere, directed away from self and toward God is a powerful soul winning force. I preach the Gospel to the people. They are ready to receive. Now I am calling them out of darkness and into the arms of God. I see those who brought their loved ones praying with an intense yearning, hoping that their loved one will respond the call. A stunning number of people come to Christ. Now burning hope has become reality. Sons, daughters, parents, wives, husbands, and friends are causing widespread jubilation as they say the sinner’s prayer and stand redeemed! The prayer room is now jammed with souls! This is the largest harvest yet in the Santa Rosa Fire. I say to the audience, “if we were to end this night right now it would be a great night.” But the night was not over. Try to imagine what it is like when dozens of people stand at once to be healed of lung diseases ranging from asthma to cancer. The Holy Spirit brooded over the people dispensing miracles. One after another began to declare their miracle and rejoice. Jesus did not leave it there! He began to heal diseased hearts, spines, arms, legs, eyes, and litany of ailments. It was clear that we had once again exceeded the power of any previous meeting. We still have tonight at 7 PM and then this Sunday it all starts again! Only God knows the astounding things that are yet to come!